We love saying yes to artists. 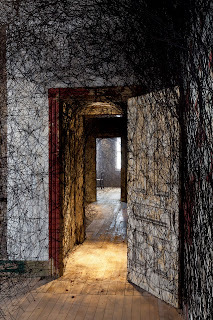 The Mattress Factory is a place like no other--our mission is to support living artists from all around the world as they create room-sized installation art in our three gallery buildings on the North Side of Pittsburgh. 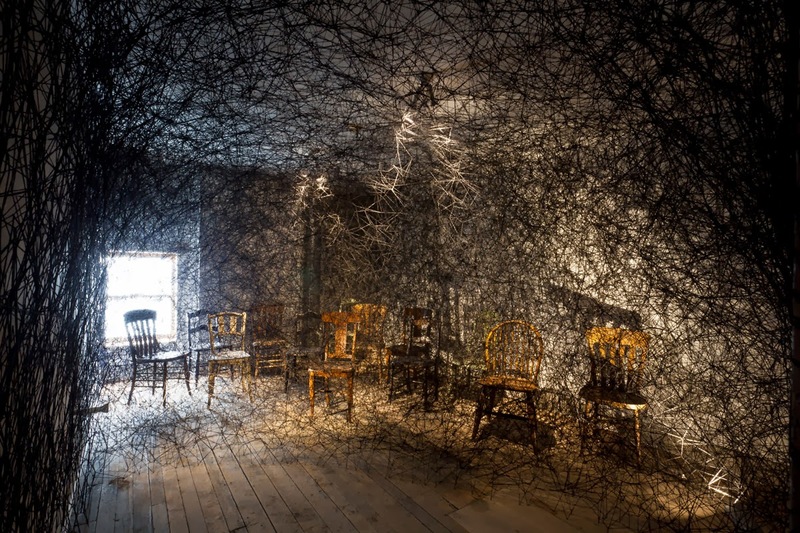 Artists come here to experiment, take risks and create art that is only possible at the Mattress Factory. In 2013 the museum supported new work by 19 regional, national and international artists. Your support makes all the difference! Artist Chiharu Shiota used 500,000 feet of yarn to create Trace of Memory. That's nearly 95 miles of yarn. Pickles and pretzels for snack for our after school program Afternoons @ the Factory cost $50 per week. Over $13,000 worth of concrete was used to complete the renovation of our newest gallery on 516 Sampsonia Way. Our hot chocolate bar on Family Day runs up a tab of $75. 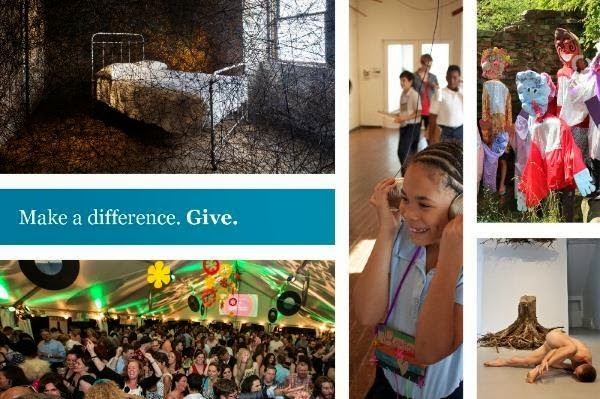 Every donation, big or small, helps us say yes to artists. With your support the Mattress Factory will continue to give artists the space, resources, freedom and permission to create. So donate today, because even a little helps us say yes to a lot. 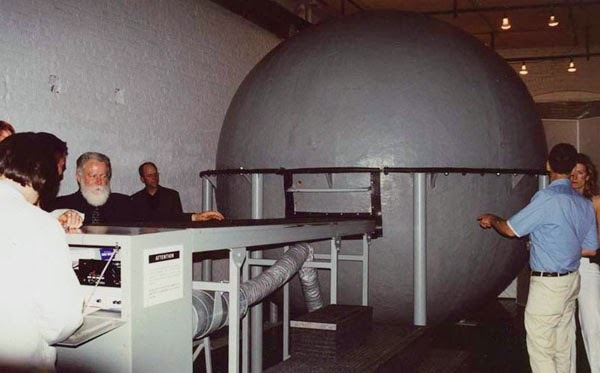 In celebration of several recent of James Turrell exhibitions, the Mattress Factory took you, dear blog reader, on a trip down memory lane. Along the way, we reminisced about Turrell's first meeting with Co-Directors Barbara Luderowski and Michael Olijnyk in a New York City cab, peered through the lens of 1983 video camera to watch Turrell building artworks, delved deep into the scientific processes that contribute to experience of Pleiaedes, and rode along as Turrell, Barbara, and Michael rambled across the country in aU-haul with a broken-down Jaguar hitched to the back. We saw how the trio's immediate chemistry launched a catalytic partnership resulting in new artworks, new collaborations, and the ultimate validation of the Mattress Factory's primary mission of supporting artists' creative processes above all else. 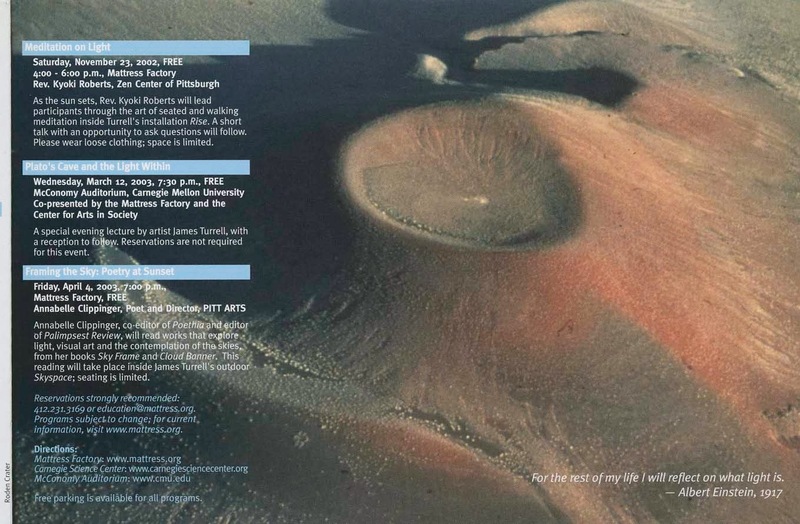 In the years following that fateful cab ride, Turrell accomplished a tremendous amount of work on Roden Crater and created artworks for museums and private collections across the world. During those same years, the Mattress Factory launched numerous successful exhibitions highlighting artworks made by regional, national, and international artists. As the Mattress Factory's 25th anniversary approached, it felt natural to reconnect with Turrell, to touch base, and to celebrate the milestone together. This celebration took the form of a large-scale, yearlong exhibition of works titled James Turrell: Into the Light. 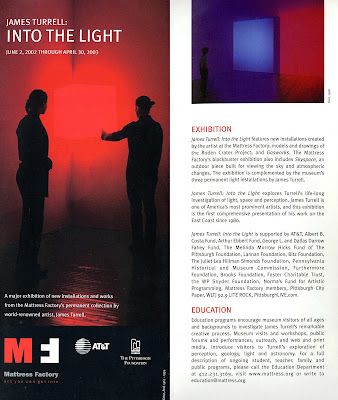 James Turrell: Into the Light, which opened in 2002, was the largest exhibition of Turrell artworks on the East Coast since the Whitney Museum show in 1980. Combined with the three works in the permanent collection, the Mattress Factory presented twelve installations, models of Roden Crater, and a series of prints based on the light and space of Roden Crater. 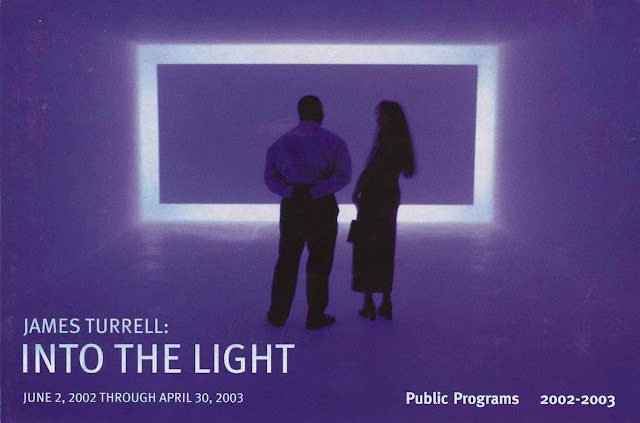 Open for an entire year, the show provided an opportunity to familiarize patrons with Turrell's work and to build an extended dialogue around pieces then usually held in private collections or on view for a limited periods of time. The museum opened the exhibit in grand style, with a 25-hour party. Barbara and Michael selected Gasworks, an older example of Turrell’s Perceptual Cells series, in order to showcase a vast range of his work with light. It was the first time the artwork had been exhibited east of the Mississippi. A self-contained sphere into which a viewer is rolled, Gasworks presents neon lights timed to flash on the domed interior walls, creating an intense Ganzfeld, an experience of light as a homogenous visual field. Gasworks as installed at the Mattress Factory. Photo by Florian Holzer. 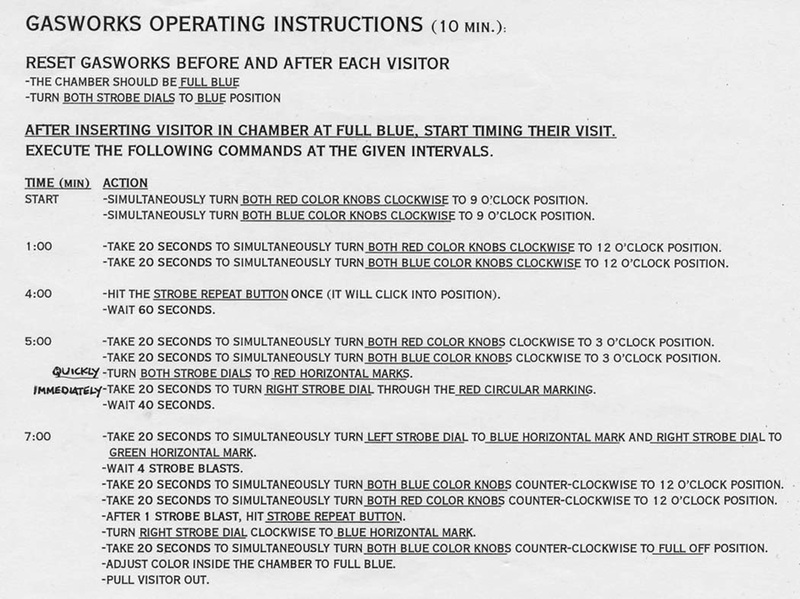 Gasworks is one of my personal favorite Turrell works, in part because we have so many cool tidbits relating to this work in the Mattress Factory Archives. These materials speak to the sometimes arduous task of planning and executing projects intended to expand awareness of and appreciation for works of contemporary art. Here are a few examples of historical documentation of the James Turrell: Into the Light exhibit housed in the Mattress Factory Archives. During the James Turrell: Into the Light exhibit, the museum presented numerous public events to facilitate discussion from a variety of viewpoints. Speakers from many different backgrounds and with wide-ranging areas of expertise (including scientists, curators, artists, health professionals, Zen reverends, poets and archeoastonomists) shared their thoughts and engaged with audience members throughout the year-long exhibit. 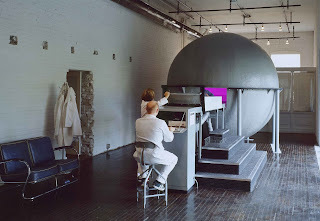 The Mattress Factory continues to engage audiences with the James Turrell works in the museum's permanent collection. ARTLab occurs every first and third Saturday and provides hands-on, interactive activities for all ages inspired by the works in our galleries. Much as our Mattress Factory artists have a chance to experiment with new materials and ideas in a space, we also want to give ARTLab visitors the experience of playing in a lab and exploring their creativity. This past June, ARTLab participants sculpted with light by creating projection slides and played with the elusive material of light. 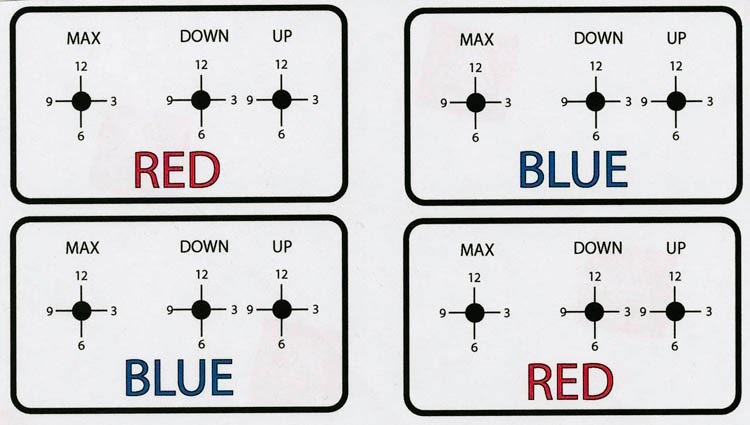 Participants worked with color and perception as they created small slides that were projected onto the wall or into various spaces (much as Catso, Red is also a projection). James Turrell says that his work is "sculpting with light" and the ARTLab was an opportunity for visitors to play with this same idea. Another recent ARTLab inspired students to create collages and objects to be placed in a black-light booth. Inside the black-light booth, the collages and objects shine and glow in different, unexpected ways and the students experimented with their compositions to achieve a desired effect. 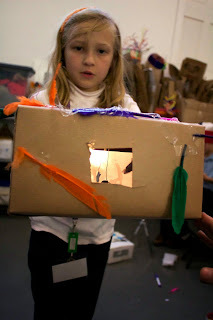 Works of art can take on a whole new character once placed in the light - and this project helped to deepen the students' understanding of the properties of light and how it can impact an experience with art. As you can see, the history of collaboration, support, and inspiration between James Turrell and the Mattress Factory is carrying on to the artists and entrepreneurs of tomorrow. Check the MF Website to see what the Education Department is planning next! Besides helping us keep track of when we need to wake up, to go to work, what day of the week to take out the trash and recycling (I ALWAYS forget the recycling), and when dinner is, have you ever stopped to think what this arbitrary thing called time is? Why is it important? How is it related to art, especially music? Can we stop time and turn music into a still, visual image? Join us on Saturday, December 7th, from 1-4pm as we experiment with making visual art and music while contemplating time, as inspired by the work of Detroit artist Frank Pahl in the Mattress Factory’s current show, Detroit: Artists in Residence. 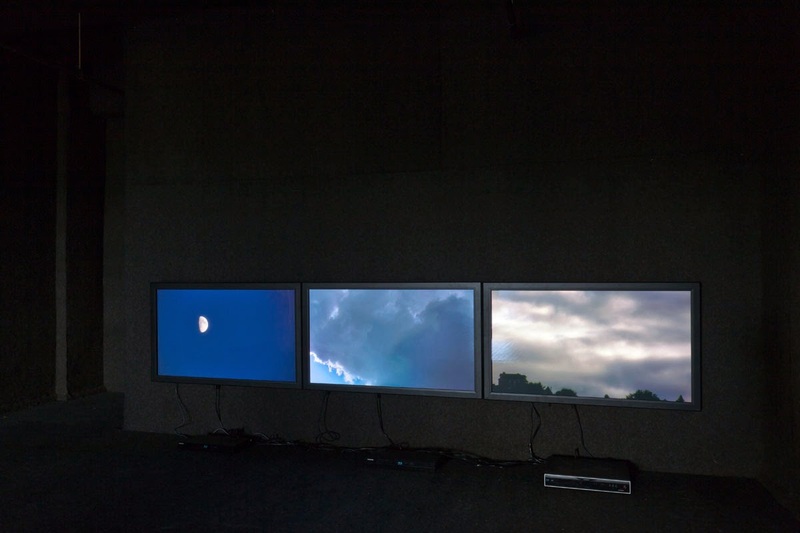 Frank Pahl, musician and visual artist, created an installation for the Mattress Factory that blends both music, time, and visual representation--a work that he hopes allows viewers to meditate on different aspects of time. 1913 Revisited in Three Parts refers to three events in history that Pahl interprets as significant changes in the way humans measure and perceive time: the invention of Henry Ford’s Assembly Line--which hugely impacted industry and the economy; the global synchronization of time--an event that happened via telegraph from the Eiffel Tower and brought the whole world to follow one standard measurement of time; and the premiere of Stravinsky’s composition and ballet, Rite of Spring--about a pagan ritual of a young girl dancing herself to death to ensure the coming of spring, an extremely controversial piece of music in it’s time for it’s dissonant notes. For Pahl, these three events illustrate the relationship between Chronos and Kairos, words referring to ancient greek concepts of time. Chronos refers to chronological and measured time, while Kairos refers to a significant present moment, or a more organic concept of time. The invention of the assembly line and the global synchronization of time embody Chronos, and Kairos is embodied by Stravinsky’s Rite of Spring. Using hanging wheels, lighting, automated musical instruments, and time itself, his work contemplates the consequences of perceiving and operating in the world through the quality of Chronos versus the quality of Kairos. 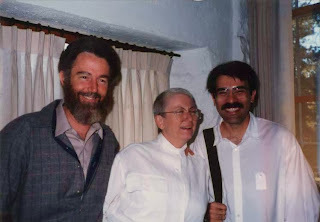 One could see the concepts of Chronos and Kairos as different conceptual tools we use to make sense of the stories of our lives and history of the world. Chronos may be used to order events and understand cause and effect, while the awareness of the present moment, and the significance of any action in the present moment, could be the faculty of Kairos. We can also use these concepts in creation of art. In fact, we have no choice--the process of making art takes time, as with anything else! In this ARTLab, visitors will make their own musical instruments from found objects and contemplate their personal relationship to music, art, and time. The creation and use of these musical instruments could also include storytelling, performance, history, or a contemplation of creating art itself. 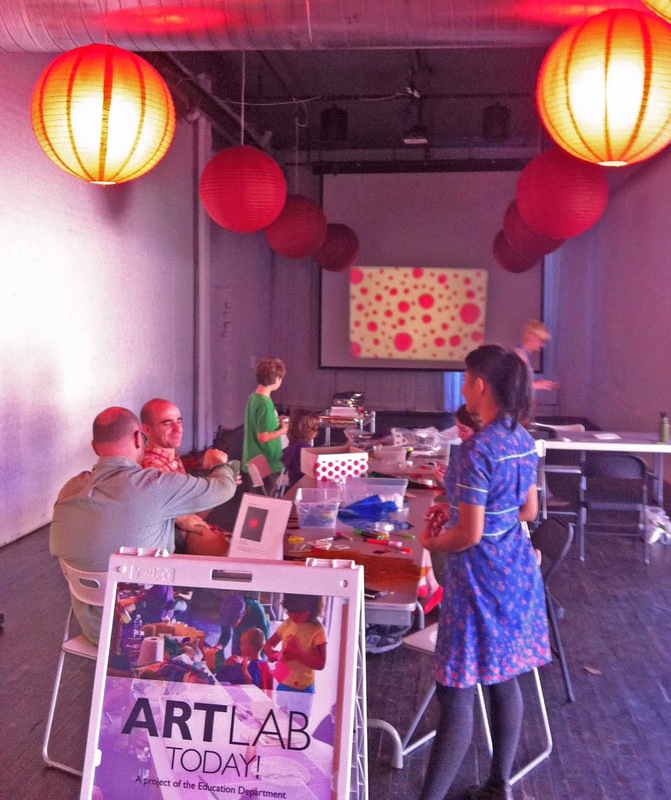 As always, ARTLab is FREE with museum admission and all are welcome to participate! 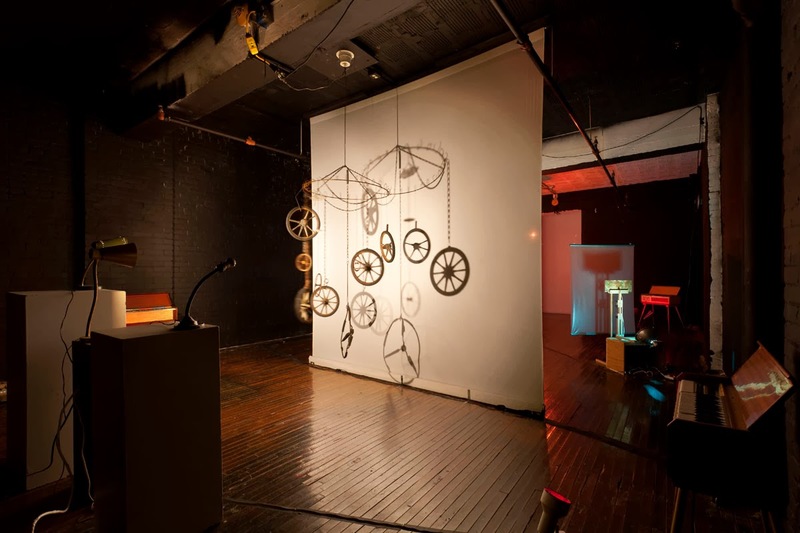 Since you’ll be thinking very deeply about time during the ARTLab, you’ll also want to note that at 7pm the Mattress Factory will host a special event that happens to be very pleasantly related to the ARTLab concepts of art, music and time: An Evening of Animated Films & Live Music. With stop-motion animated films by Ladislaw Starewicz and original live music performed entirely on children's instruments by Little Bang Theory (featuring Frank Pahl) this event promises to be a very dynamic and entertaining experience for all ages. Tickets are $15, $10 for museum members. Tickets will also be available at the door. Join us in the MF Lobby on Saturday, December 14th for our annual Holiday CraftFactory! 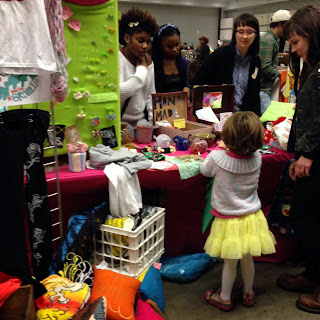 Come explore hand-made objects and artwork from Pittsburgh makers. This year's CraftFactory coincides with our Member Appreciation Day - members will receive extra discounts in the shop, free gift wrapping, and other perks. There will also be a special live performance from the unconventional musical trio the South Side Sharps. The CraftFactory runs during museum hours, 10-5pm, and is sponsored by the MF Shop. The CraftFactory is a great way to support local artists, as well as the MF. Get your last minute holiday shopping done, and see some amazing artwork during your visit. We hope to see you there! Emily Walley is a multimedia artist and craftsperson with a background in sculpture and art metals. She creates installations and jewelry inspired by the urban landscape, taking cues from architectural spaces, maps, and city streets. 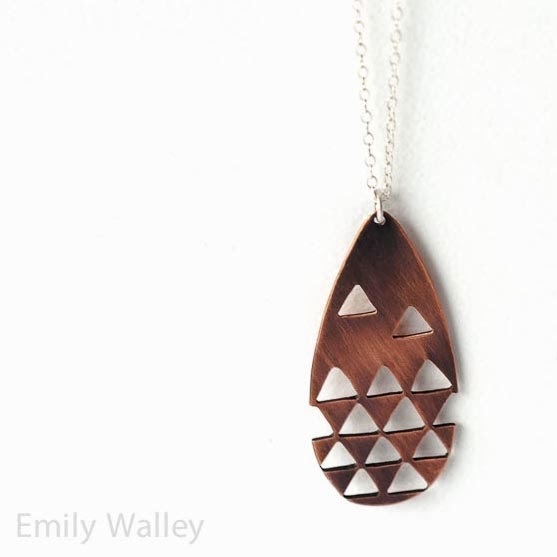 Her wood and metal jewelry designs are printed with minimalist patterns evoking an urban vibe. 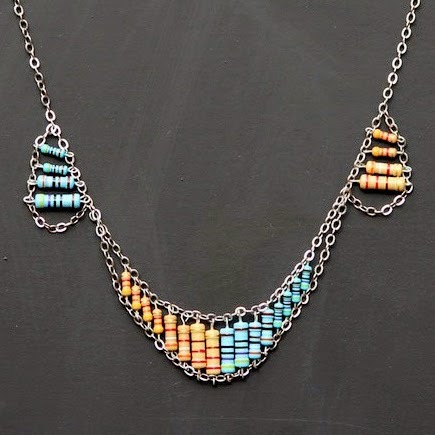 You can find her jewelry for sale in Pittsburgh at the MF Museum shop and Pageboy Boutique. Visit her on Dec. 7th at Handmade Arcade. Hey Beast Studio is run by Jeff Brunner, a Pittsburgh native and resident of Brighton Heights. His studio practice began in 2010 when he got tired of being art lazy and decided to make an alphabet book for his then new niece. That book, Armadillo to Zebu: an Alphabet Book for You and Me Too, was self-published in October 2012. Since releasing the book he's completed a yearlong illustration/mail art project called 365 Critters and is currently working on a second book. Jeff's colorful illustrations tend to focus on animal and natural forms, though occasionally an abstraction or two will slip through. Norah Blashford has been knitting since childhood. 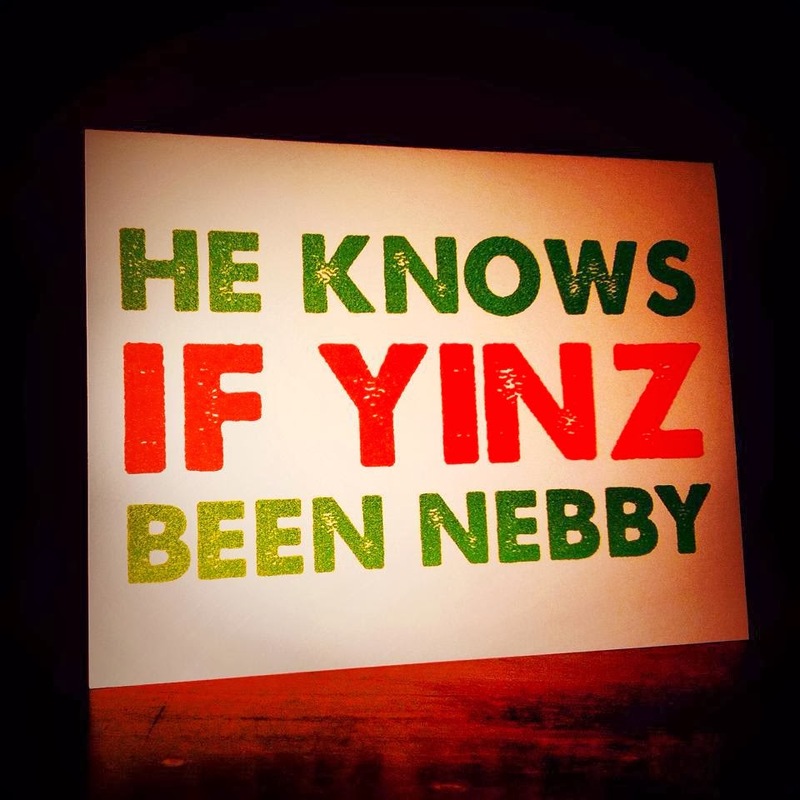 She grew up in northern England and immigrated to the US in her twenties and settled in Pittsburgh. 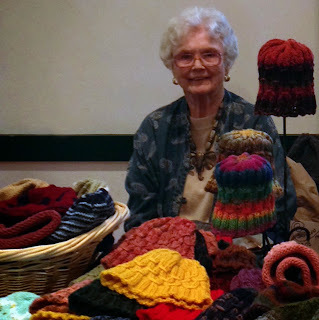 Norah has enjoyed knitting many sweaters and hats for her eight grandchildren. Knitting has been therapeutic and keeps Norah's hands busy. The pleasing color combinations of each hat are approved and or suggested by Norah's husband of almost 60 years, Roy, who greets each new hat with rave reviews. John the Craftist - John is actually Thea, a true rustbelt gal who makes Pittsburgh greeting cards out of her century-old apartment in Aspinwall. She believes in the importance of handcraft, correspondence, regional culture, and -- perhaps most of all -- humor. Her cards are printed on paper manufactured by a sixth-generation, hydropowered Midwestern company, and she uses mostly vintage and distressed fonts based on wood type and mid-century modern aesthetics. When she isn’t printing and folding cards, she is most likely behind the counter at Wildcard, ordering a vegan pizza from Spak Brothers, or spoiling her Mom’s three rescue cats. 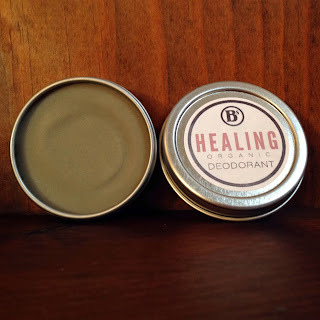 B's Healing - "In 2010 after the birth of my kiddo, I began a quest to not have to read labels on diaper cream. We chose to cloth diaper and not only did I have to research every ingredient for possible toxicity AS WELL AS cloth diaper safety... well it made my head hurt. I wanted to make something that I knew was safe and effective and works with our body's natural ability to heal itself. Our skin eats what we wear. Let's feed it right!" 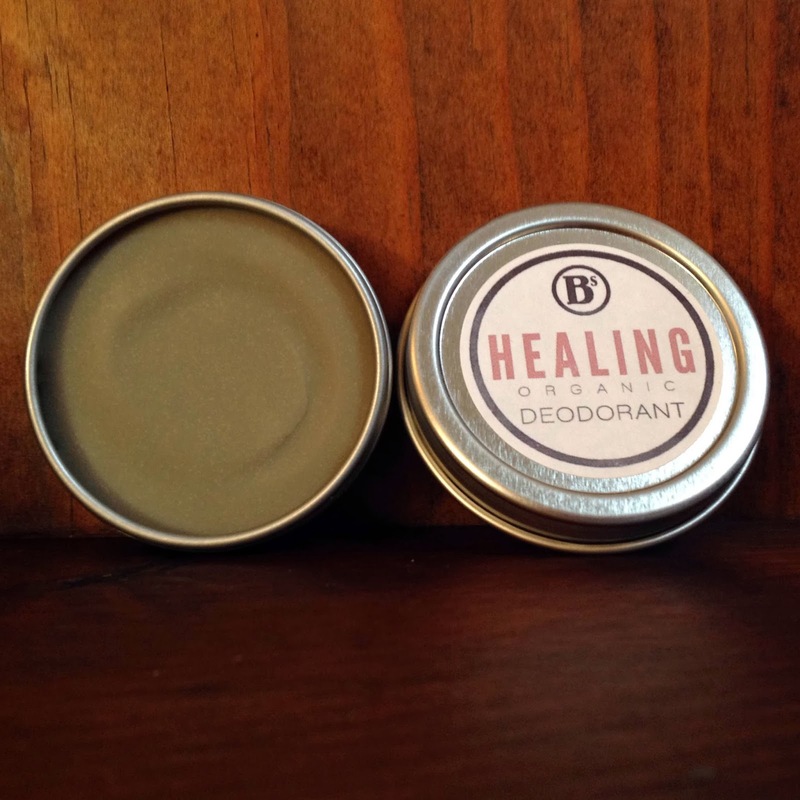 B's Healing is now making balms and deodorant, perfect for dry, itchy winter skin. CAPA Unicorn Boutique - Featuring cards, jewelry, t-shirts and miscellaneous fantastic stuff designed and made by CAPA students and friends. 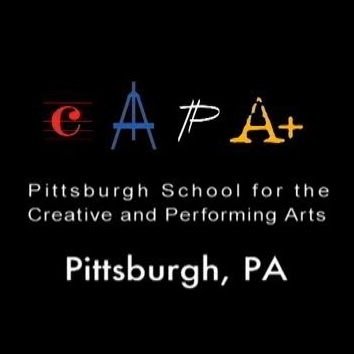 CAPA is Pittsburgh's Creative and Performing Arts 6–12 school. 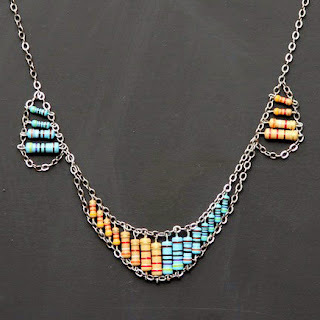 MakeWan - Electronic Component Jewelry from MakeWan. 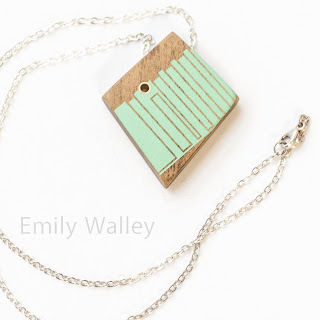 It explores the unique visual texture of electronic components. Shanning Wan has a web/graphic design background, and is interested in the intersection of traditional craftsmanship, media art and digital fabrication. This unusual grouping will perform music ranging from Renaissance to Ragtime, and will feature some holiday tunes. 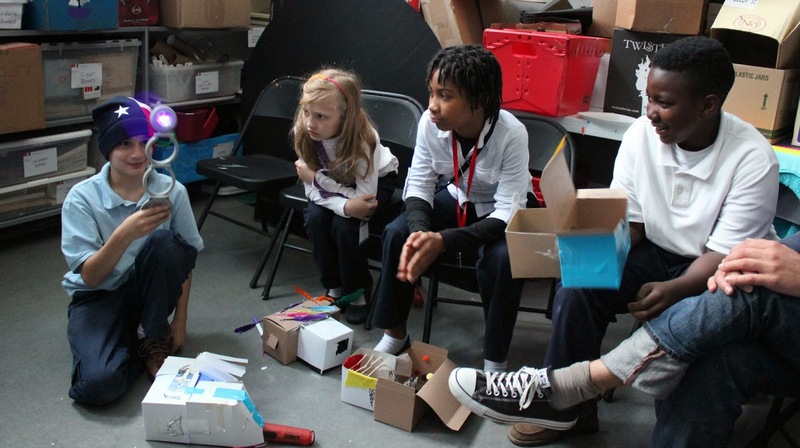 What do an artist, a robotics engineer and a music teacher have in common? They live on the same street in a South Side Slopes neighborhood. They share a love of music and the arts. They get together regularly to share a meal and play chamber music. Whether accompanying the liturgy at St. Andrew Lutheran Church in Shadyside or delighting their friends and neighbors with dulcet tones, the South Side Sharps are sure to entertain you. Edit 12/11/13 - Trilodeon & Devorah Naturals are no longer able to vend at this CraftFactory Event. November 29th is Family Day at the Mattress Factory! That means from 11am to 4pm we’ve planned fun activities for your whole family to come and enjoy. No extra charge - it’s included with your museum admission. We assure you that these collaborative activities are fun for ALL AGES and each one is related to one of the artists currently on exhibit in the galleries. Not sure where to start? Maybe this is your first time at the museum? Try the scavenger hunt first. This interactive activity is a fun way to get kids excited about exploring the museum, and together you can generate thoughtful ideas about the artwork that you see. Play with silhouettes and light as this large collaborative sculpture comes to light behind a curtain. Inspired by the work of Frank Pahl, an artist featured the current DETROIT: ARTISTS IN RESIDENCE exhibition in the main building. Create and decorate your own tin can telephones and transmit your own stories and sounds with your family and friends, also inspired by a featured DETROIT: ARTISTS IN RESIDENCE artist Jessica Frelinghuysen. Contemplate the sky and the outdoors and draw what you see. This project is inspired by Design 99’s solar and wind-powered installation Following the Sun 2 in the DETROIT:ARTISTS IN RESIDENCE exhibition. 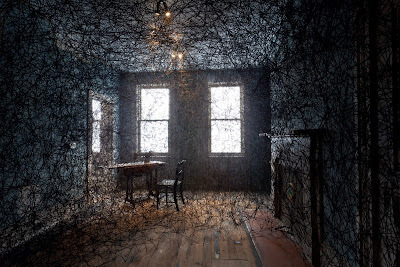 Add your own web of yarn and weave in your personal trace of memories in a large collaborative yarn installation inspired by Chiharu Shiota’s installation Trace of Memory in the new 516 Sampsonia Way gallery. There’s a lot of art to see and a lot of projects to do, so we know you’ll need a break at some point in the day. That’s why we made sure to set up a FREE Hot Chocolate Bar with all the fixins. That’s a treat you can really get into. In addition to the activities in the lobby, we’ll have a lot of extra museum educators and volunteers in the galleries to help make the day fun and educational. Hope to see your entire family there! What does it mean to be connected to your own body? How can you use your body in unconventional ways to create art? November 16th ARTLab: Every-Body Draws is inspired by Janine Antoni’s solo show Within, located in our 1414 Monterey Street galleries. 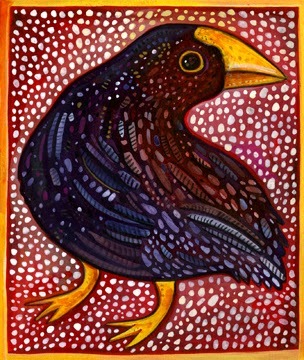 Antoni's artistic process is rooted in performance and gesture. She describes her work as an exploration of what it means to be a woman and what it means to have a body. Antoni’s show is an invitation for us, as the viewer, to connect to our own bodies and explore the interconnectedness of all things. 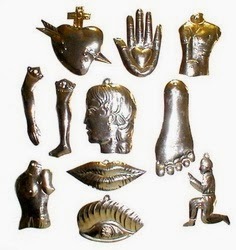 The resin objects on the second floor at 1414 Monterey Street were inspired by milagros, folk charms that are used for healing purposes. In Mexico they are often in the form of tiny metal medallions representing different body parts like a leg, heart, hand, or eyes. 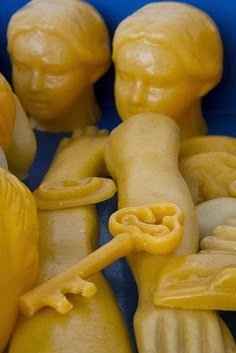 In Spain, Portugal, and Brazil, they are often 3-dimensional wax or resin. For Antoni, the “act of making [a milagro] is a kind of prayer, a kind of intention.” Like creating a milagro, the way she approaches her work can be seen as a personal contemplation of her body. 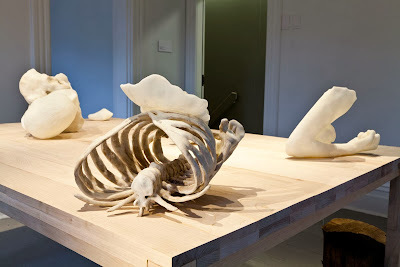 A crossed leg over a leg bone is one of the several resin milagro-inspired objects in Graft that contemplates femininity. The gesture of dragging female hip bones across wet plaster is what shaped the crown molding in Crowned as well as the clay vessels representing her artistic mothers in Gertrude, Mary, and Martha. The gesture of cutting a tree in half and piercing the trunk through the ceiling is a gesture connecting the tree--the source of the materials used to construct the building itself--as a metaphor pointing to the interconnectedness of all things to a source, just as we are connected to our flesh, our bones, and to others through the act of birth. In our upcoming ARTLab, visitors will discover that a gesture, a movement, or even an intention can be a process for creating art. 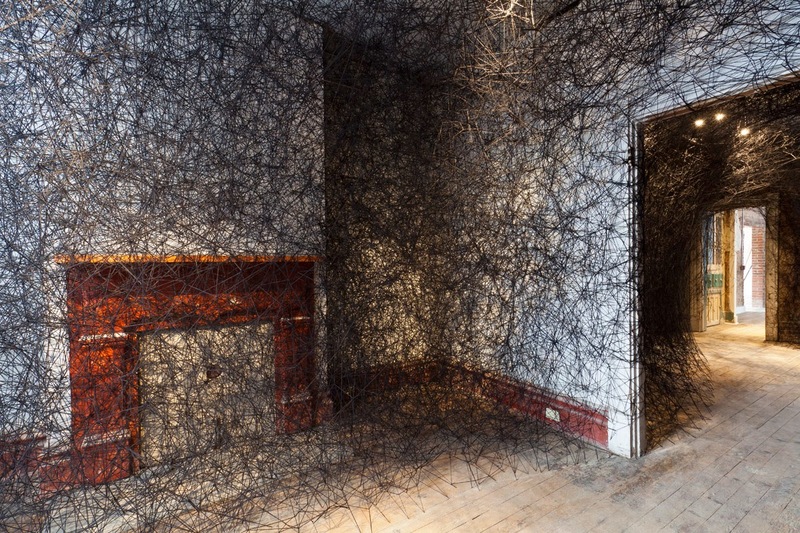 In this installation activity, participants will experiment using branches as extensions of their body to move and create a collaborative drawing. Participants will also create their own milagros expressing thanks, making a wish for someone’s wellbeing, or happiness for themselves or others. We will hang these handmade milagros in the garden when they are completed. ARTLab is free with museum admission and is open to all ages. James Turrell's 1983 Mattress Factory residency (previously discussed here, here, and here) produced seminal artworks Danaë and Pleiades, which stand as core pieces within the museum's permanent collection. Moreover, the residency forged a warm and lasting friendship between Turrell and the Mattress Factory Co-Directors, Barbara Luderowski and Michael Olijnyk. This friendship not only served as a catalyst for the numerous collaborations that have occurred over the years between the Mattress Factory and Turrell, but it also illustrates how the Mattress Factory works with artists. 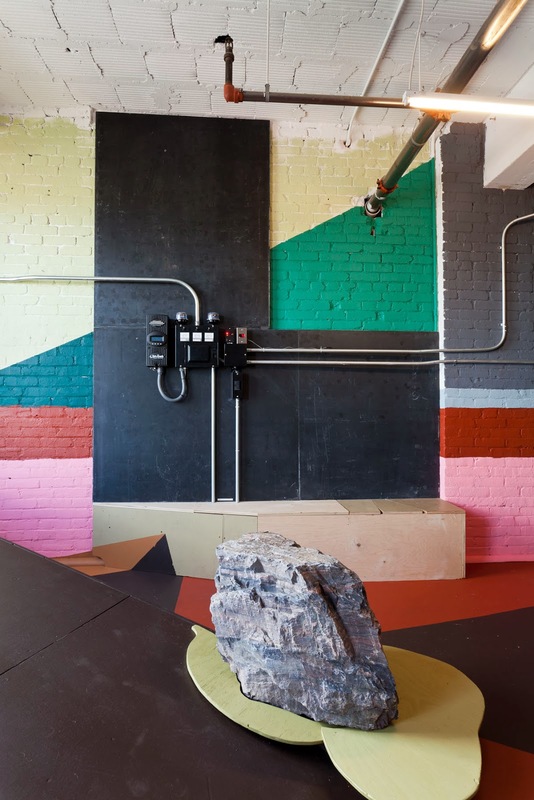 As if with friends, the Mattress Factory aims to share and build a mutually supportive and inspiring environment where art can be created, appreciated, and developed with some smiles, laughter, and a few surprises along the way. 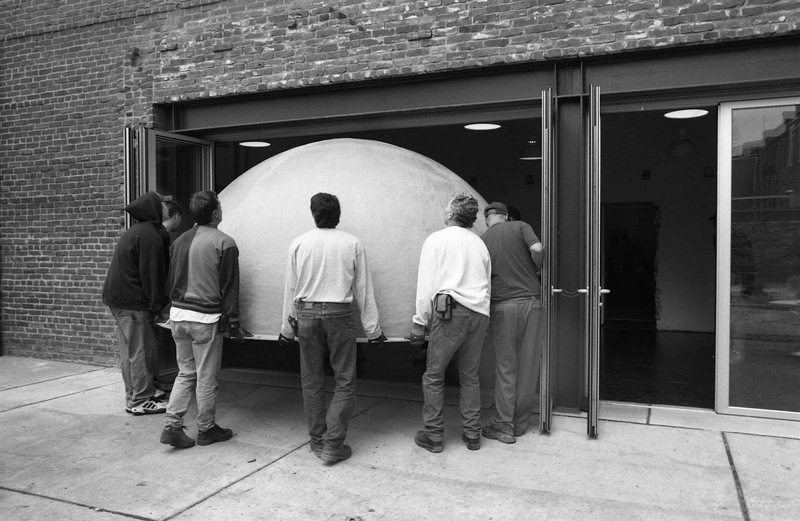 When his residency ended, Turrell agreed to exchange ownership of Pleiades for Barbara's stash of aged black walnut and a giant, motorized 10-foot band saw, which came with a huge motor and a joiner. To transport all the wood and machinery to Turrell's studio in Arizona, Barbara, Michael and Turrell rented a U-haul truck and the three set off on a cross-country journey. 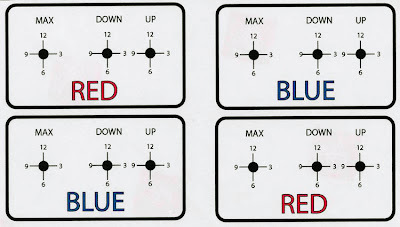 Barbara recalls that all along the way, after every meal and pit stop, they would race each other back to the truck, each aiming to avoid the dreaded middle seat where one had to straddle the truck's manual stick shift. They had originally planned to explore little towns along the way in a Jaguar Turrell bought in Connecticut before the trip. However, the Jaguar dropped all its oil before they left the Mattress Factory, so it was rigged behind the U-haul for the whole ride. 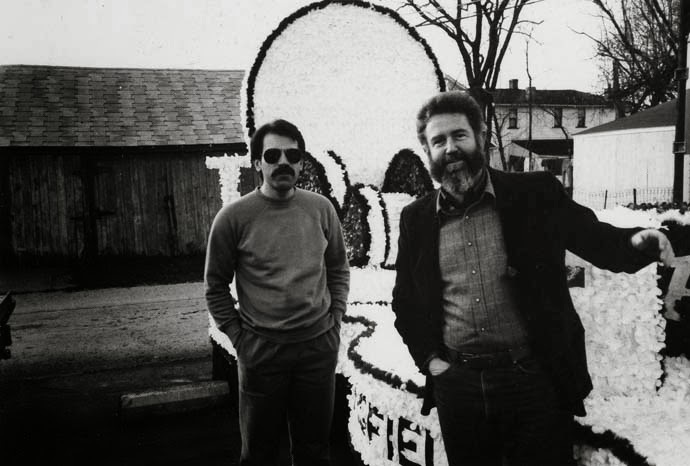 Whether it was the laughs they shared along the road trip or the mutual appreciation they discovered on their first meeting, the Mattress Factory and James Turrell found in each other a natural friend and collaborator. 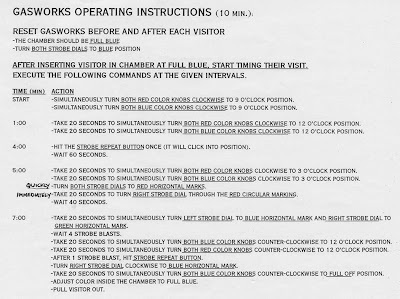 Turrell enlisted the help of Michael to install his piece Meetingat PS1 in Long Island City and again when Turrell exhibited at the Hirshhorn Museum and Sculpture Garden in 1986. In 1994, Turrell returned to the Mattress Factory to exhibit his works Soft Cell and Catso, Red. 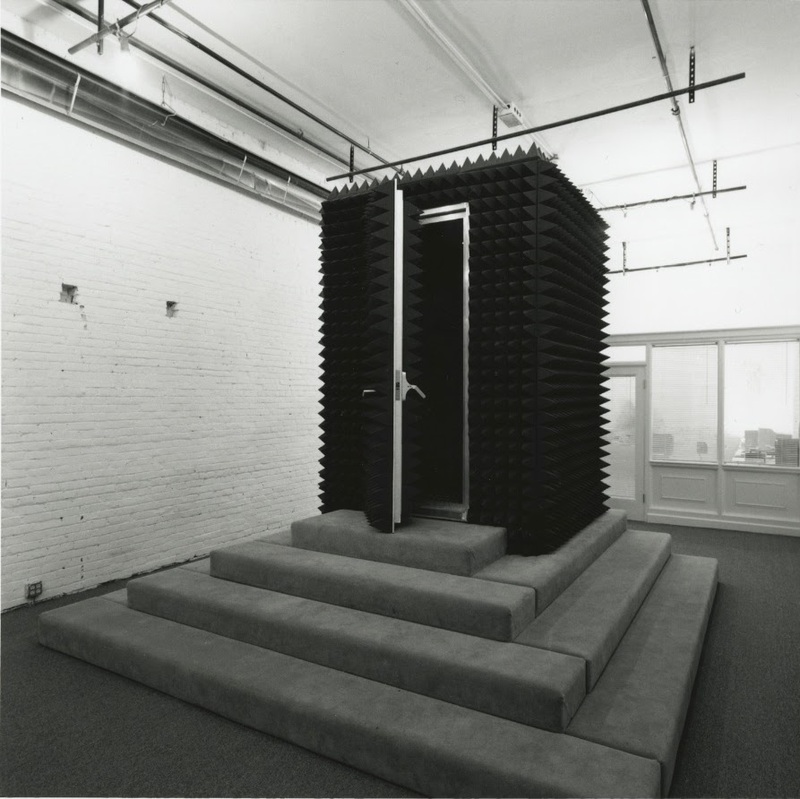 A part of Turrell's Perceptual Cells series, Soft Cell is an enclosed, autonomous space with room for only one person at a time. The series explores how perception of space is influenced by light. 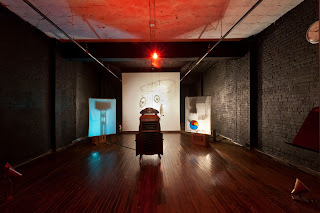 Catso, Red, which was designed in 1967 as part of a series of Cross-Corner Projections, was added to the Mattress Factory's permanent collection in 1994. 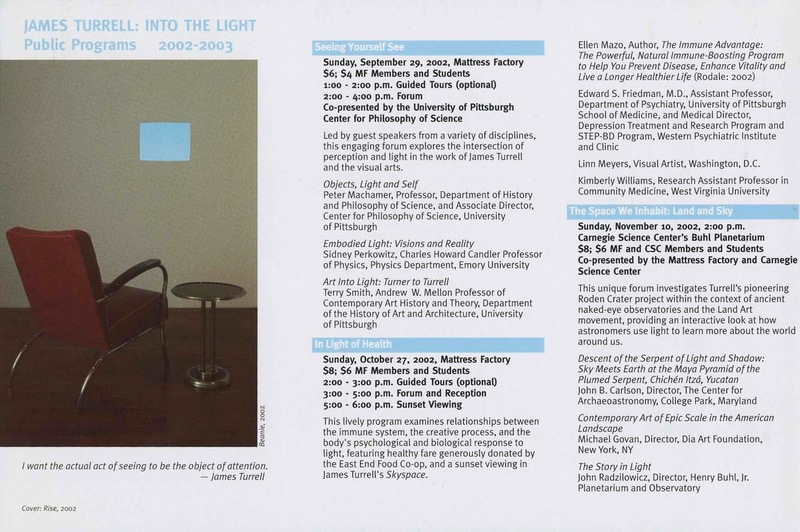 The friendship and collaboration between James Turrell and the Mattress Factory culminated in 2002's James Turrell: Into the Light, a year-long exhibition presenting a variety of newly created and older works re-imagined for the Pittsburgh audience. We'll hear more about that mega-show in our next posting. If you were asked to draw or make a model of your childhood home from memory, how accurate would it be? What would your house include? Maybe more importantly, what would you FORGET to include? Our next ARTLab is inspired by Chiharu Shiota installation Trace of Memory located in the Mattress Factory's brand new exhibition space at 516 Sampsonia Way. 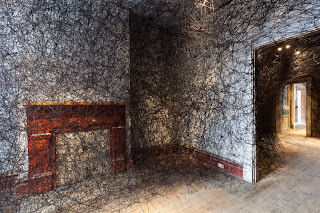 For Shiota, the yarn gives form to unseen feelings, memories, and history, and once the installation is cut down, the memory of the installation is what remains. What we learn from Shiota’s process is that making art (through any medium) is a way of remembering. In our November 2nd ARTLab, visitors will be invited to recreate a model of their childhood home, and through this process of artistic creation, allow the faculties of the brain that conjure memories and create art to work simultaneously. ARTLab participation is open to all visitors and is included with admission to the museum. BONUS: Richard Morris is a former resident of 516 Sampsonia Way and shared photos of the house when it was occupied.